2018 was hailed The Year of the Woman, and before that, 'feminism' was the Word of the Year. 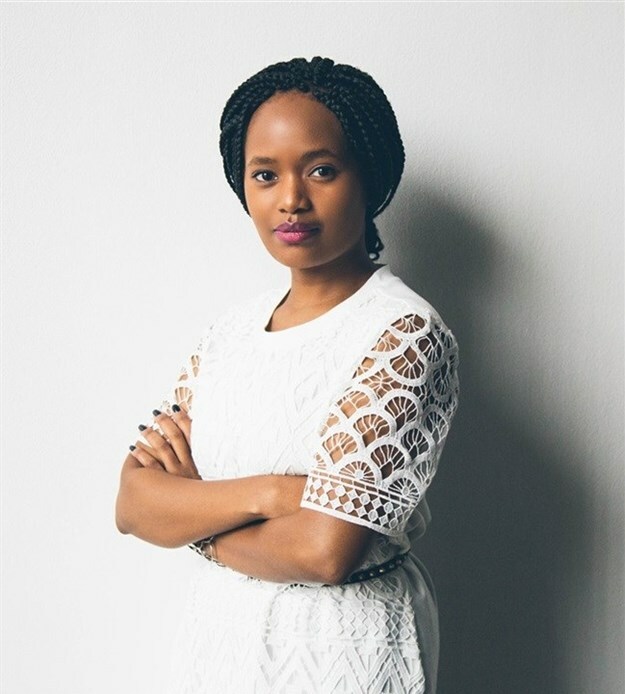 Kirigo Kamore, content manager and global diversity champion at McCann Worldgroup. Unlike its predecessors, the all-embracing fourth wave of feminism was born online, with social media being its key catalyst, providing the perfect mainstream platform for digital activism. As hashtags go, feminism took on several labels and phrases, all treated as a collective identifier for digifems across the social sphere. So, if 2018 was the seismic and long-awaited quake of women’s lib, then expect its aftershock this year, both off and online. With the likes of AI, AR, chatbots, voice and visual search, video content and social TV in our arsenal, the question I’ll be asking this year is, “How can we better cater to the female consumer on digital?” What’s more, with so much female-focused messaging clogging the media landscape, how will we stand out from the rest? Rethinking and realigning how we communicate in a digitally-led world would be a good place to start. So here are a few things to consider in 2019. Agencies are doing away with traditional internal structures and disparate silos that stunt impactful creativity, in favour of a seamless environment that allows for better-integrated systems, agility, shared insights, and quick idea turnaround. While top-down digital transformation aims to improve the efficiency and output of the agency-client relationship, the consumer experience will need to be at the core of this organisational shift. With that in mind, 61% of local internet users in South Africa prefer to complete important tasks on a digital platform. In a Truth About Moms study by McCann Worldgroup’s Truth Central hub, one key insight was that moms are increasingly ‘plugged-in’ when it comes to social media and digital tools. Globally, 91% of moms with smartphones use their devices in the shopping occasion. This not only means that they are becoming more connected online, but they are also becoming more vocal and their presence is being increasingly felt. Women expect better digital experiences that are far more engaging, seamless, consistent and interactive. In addition to these qualities, she’s also looking for a deeper and more meaningful connection with your brand, reinforcing the importance of making digital transformation as much about the people involved as it is about the technology. So, I foresee technology playing a pivotal role in driving deeper and more meaningful human connections. The question that often comes up when another marketing faux pas makes the headlines, is “How did this get passed for approval?” According to a study by the Unstereotype Alliance, 47% of white women in South Africa feel that they are fairly represented in the media, while only 19% of black women feel the same way. However, among black women in the 18 to 34 age group (the most active segment on social media), only 18% agree. This highlights a need for brands and agencies to become more aware of how they consciously or unconsciously typecast their audiences; spending more time understanding who they are and less time influencing who they should be. This is why I’m excited about the appeal of smart data, and how it’ll be applied this year. Smart data will no longer be the preserve of data analysts or digital soothsayers, it’ll be a language we’ll all be expected to speak. There will also be an emphasis on learning how to unpack big data to sieve out the insights and nuances that paint a better picture of who we’re marketing to. With the benefit of hindsight and with so much data at our fingertips, agencies that truly invest in understanding the multiplicity of the female consumer will reap the rewards of a growing and increasingly influential female economy. Within the broad female market, lies niche consumer segments that, while they may share certain values, have different priorities and seek to satisfy different needs. Therefore, I expect that the archaic LSM approach will give way to a more tribal view of women, a concept J. Walter Thompson shares in their Female Tribes study. From millennials to single ladies (remember them? ), mothers, working women, working mothers, to the baby boomer; each segment varies in how they interact with different media and digital channels. This means it’ll be increasingly important to pre-empt the female consumer’s expectations. Mapping out her journey to find opportunities to improve her experience at different touchpoints will be an important factor in driving conversion. So, key considerations should be; what channels does she spend more time on? How does she engage on these platforms? What brand intrinsics matter most to her? The consumer journey should be able to answer all these questions. Therefore, I hope to see brands and agencies interrogate these segments further and consider how they can best craft their messaging around them. This is where rich, timely, thumb-stopping content (yes, content will still reign supreme), memorable storytelling and personalisation comes in. Given that organic ads will continue to receive less engagement, and as more South Africans turn to ad blocking tools (currently 43% of internet users); native advertising will continue to be an inherent part of the digital strategy. So it’s time to fully embrace the digifem consumer and acknowledge that she’s no longer a bystander. She’s now an active participant harnessing the power of social media to be heard, and becoming increasingly discerning about the kind of media content she consumes; sniffing out any promotional messaging that lacks authenticity and transparency. By having a more segmented, data-driven and consumer-centric approach to women, brands and agencies will not only demonstrate a better understanding of the female audience, but they will succeed in achieving that highly-coveted emotional connection clients seek in the ongoing digital march of the digifem consumer. Content Manager & Global Diversity Champion at McCann Worldgroup (Johannesburg) Executive MBA Graduate. My love of writing has brought with it an opportunity to meet different people, each of them sharing narratives imbued with wisdom gained from their own "inexhaustible variet[ies] of life." Wisdom attained from their own follies and triumphs, thereby inspiring me to try my hand at entrepreneurship.